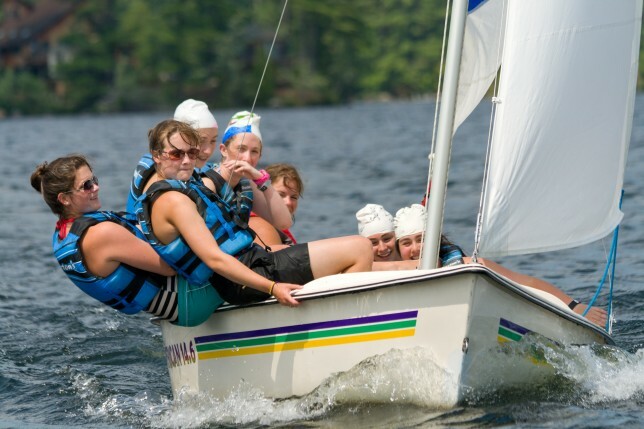 Our beginning campers are introduced to sailing on our 14-foot boats, where instructors can sail with a group of girls who can learn to steer the boat or trim the sails. 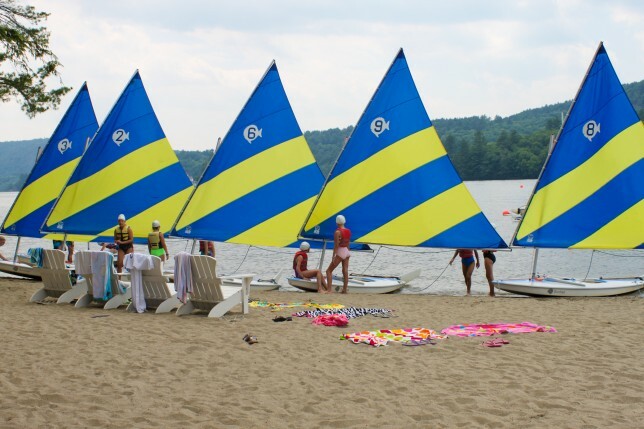 Once campers are comfortable on the water they can sail our ten sunfish around pristine Brant Lake under the guidance of experienced instructors on a ready boat. Advanced sailors can even pass their Skipper’s Test. 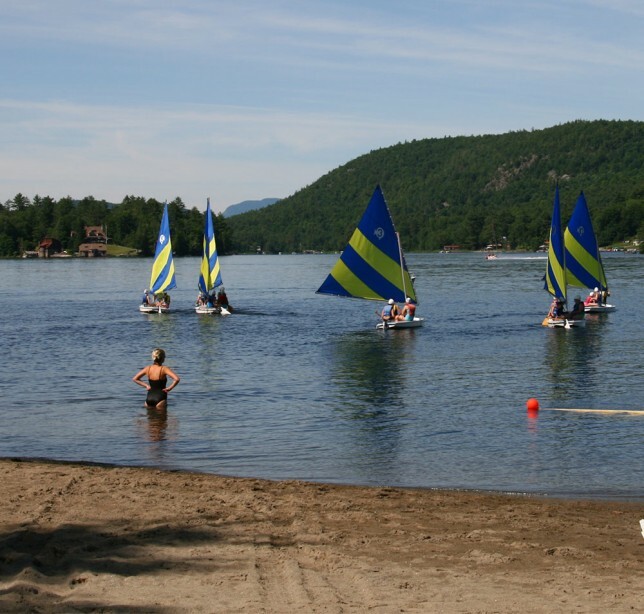 Our skilled sailing instructors come from all around the world to give campers the opportunity to become an accomplished skipper in a safe, professional, and enjoyable environment. 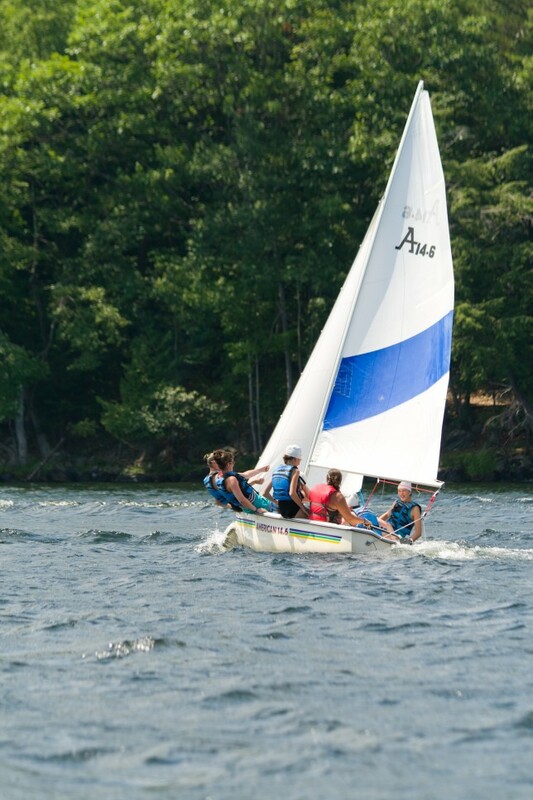 Campers can also join the Point O’Pines Sailing Team where they can race in inter-camp and intra-camp competitions in a fun and friendly environment.